From July 2 to August 7, 2011, at Kim? 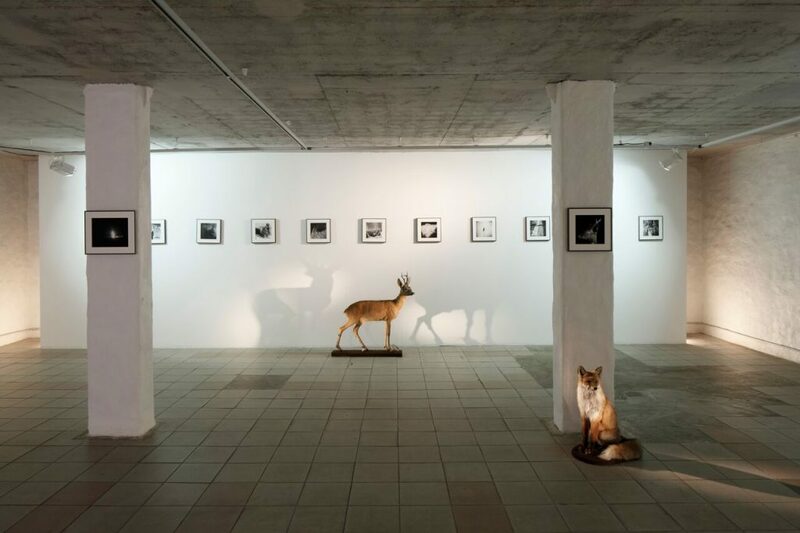 an exhibition by a Belarusian photographer Andrei Liankevich titled “Paganism” was held. 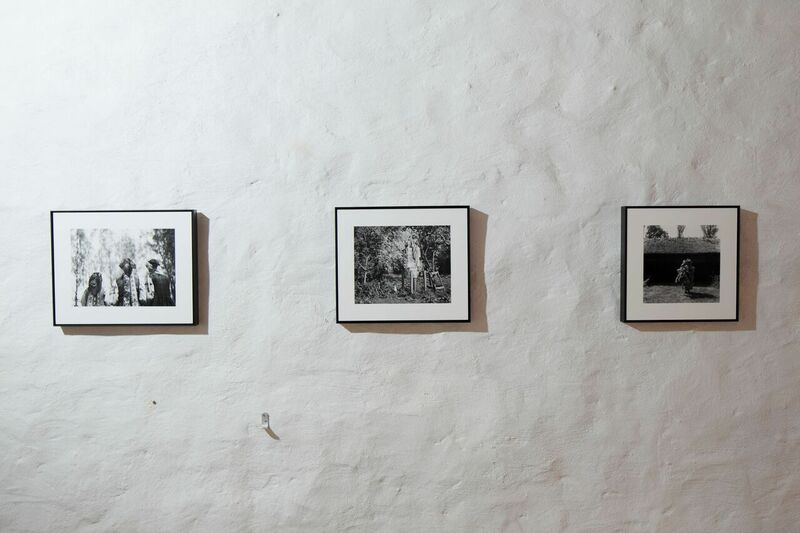 Exposition features around 30 black-and-white photographs depicting pagan culture that is still present in rural areas of Belarus. Pagan culture in Belarus has very deep roots. Most of its traditions have been derived from the Baltic and Finno-Ugric tribes. Paganism has managed to survive in different social and politic regimes, also 70 years of communism, and has preserved the most important feature: special regard and honour towards nature. Most of the pagan customs are related to rejuvenation of nature: welcoming of the spring, the harvest time, midsummer eve etc. Things which from the first sight might seem trivial, for example, a stone, a tree, a plant, a wreath of flowers or a road, appear to be entwined with symbolic meaning and are alive. The series “Paganism” has an anthropological character. It is shown in a way how Liankevich has photographed portraits of people: frontal and in natural environment. At the same time there is something mysterious in the images. Even though the rituals in photographs are documented, somewhat in them is not completely comprehensible for the viewer and thus also not accessible. Svetlana Poleschuk, photography researcher from Belarus, writes: “Andrei has managed to capture the very character of paganism: it is present and nonexistent, observable and hidden, obvious and mysterious, literary and mystic, all at the same time.” Landscapes, images of animals and other photos along with the portraits make one believe that the world of pagan really exists. 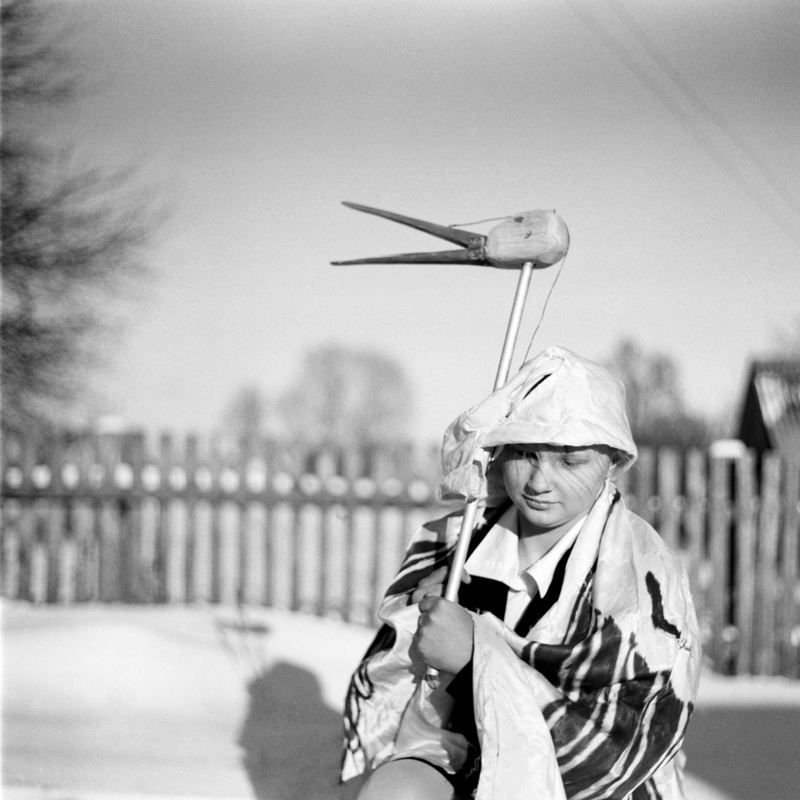 Andrei Liankevich (Андрей Ленкевич, 1981) is one of the best known Belarusian photo documentalists. He has performed more than 50 solo exhibits and has participated in group exhibitions in Europe, Asia and the USA. His works have been published in reputed international press, such as “The New York Times”, “Spiegel”, “GEO”, “Vanity Fair”, “Readers Digest” and others. The photographer has received several prizes for “Pagan traditions in Belarus”. “Paganism”, book of works by Andrei Liankevich, was published in 2010.